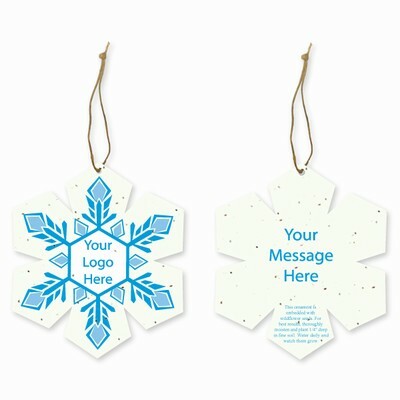 Grow-a-note® plantable ornaments are the innovative solution to acknowledge and reward your clients’ and prospects as well as being great for fundraising events and campaigns. They can be inserted into any card, attached to a gift or used as the card itself and then mailed (available with envelopes). Call or e-mail sales@greenfieldpaper.com for a custom quote.